With the current growth of undergraduate and graduate students seeking relevant work experience to build their resumes and professional networks, the reasons to support an internship program are becoming increasingly compelling. In addition to inexpensive or free labor, interns frequently transition into full-time employees upon graduation, minimizing turnover rates and reducing the need to find the perfect new hire in a pool of applicants you have never worked with before. In order to maximize return on your investment of time, training, and (sometimes) hourly compensation, it is essential that you bring in the most qualified, capable person possible. But how do you find these individuals, and how do you convince them to work for your organization? The first step in this process is determining why you need an intern. Are you identifying potential candidates for future full-time employment? Or are you satisfying a short-term need during a busy season? Catalogue the tasks and responsibilities that will be expected for this role. You may want to consider coordinating with other departments as well as any staff members who will serve as mentors/supervisors to ensure that the list is comprehensive. From this, you can pull a set of necessary skills, an estimate for the program duration, and the type of position you will offer (full- or part-time). Duration: Usually coincides with the intern’s semester schedule, although it is not unreasonable to span multiple semesters, especially if the student is local or given vacation time that lines up with his/her school schedule. Weekly Hours: Typical commitments are 10–20 hours/week during the school year and 20–40 (or more) during the summer. Be sure to plan for any logistical necessities as well, such as workspace, an e-mail account and/or phone, security/background clearance, or parking permit. Having these prepared ahead of time will help ease your intern’s transition into their new work environment. Once you have a general idea of what you need your intern to accomplish, it is time to get into the specifics. Decide on measurable objectives and end goals, determine exactly what educational benefits the program will encompass, and develop a set of performance criteria for assessing the intern’s work. These can serve as a basis for the application, as well as a starting point for mapping out your description of the position. It is important that the job description be designed to grab the attention of a college student (or, more generally, a Millennial). It should not only explicitly describe the smaller day-to-day duties s/he will be expected to perform, but also explain how they (and your company) fit into a bigger picture. Will they be assisting with research to create new biodegradable materials that will reduce landfill waste? Or managing records for a clinic that provides reduced-cost care to a population that would otherwise be unable to afford it? Say so! According to Achieve Consulting’s Millennial Impact Report (as cited by SHRM), approximately 94% of Millennials enjoy using their talents to benefit a charitable cause and more than 50% were influenced by community service opportunities when choosing an employer. Company Culture. Is your company results-oriented? Does it encourage collaboration, offer an atmosphere of friendly competition, maintain a flexible dress code, or support community outreach? Find something unique about your environment and advertise it! Networking Opportunities. As students interested in gaining experience for their future careers, the opportunity to make an impression on high-level management or other business leaders will pull in many motivated candidates. Professional Development. This encompasses an opportunity to learn the tools of the trade. It may include training in specific skills— such as balancing financial data— or industry software— such as QuickBooks or SPSS. Travel Opportunities/Other Perks. Even if you choose not to add your intern to the payroll, there are still ways to compensate them. Is there an annual company retreat they could join with all expenses paid? Does your establishment host Free-Lunch Fridays? With some thought, you can come up with other benefits to fit your budget that other companies do not. There are many different ways to structure your actual application process. Some organizations swear by video, in-person, or telephone interviews, while others claim that such time-intensive endeavors are a waste and advocate giving applicants a “homework” task similar to what would be expected of them if accepted. Most importantly, focus on finding someone dedicated to their work, willing to take initiative, and with genuine interest in benefitting your business. The best way to go about this will depend on your company and type of position you are offering. Employer and intern both understand the position is unpaid. Includes a significant training component. Exists for the intern’s benefit. Does not displace paid employees. Does not include promise of job upon completion. Employer derives no immediate benefit. These rules ensure that unpaid internships are focused on the academic and professional development of the student, but may be highly restrictive. In fact DOL notes that, “on occasion its (the company’s) operations may actually be impeded.” For programs built around the work the intern will complete, rather than his/her development, always provide monetary compensation. If your position fails to meet the DOL’s standards for an unpaid internship or you have decided to pay your intern for some other reason, the next step is deciding how much money you will offer. You should assess how the long-term returns from the tasks s/he will be completing compare with different short-term employment cost options. Be sure to note that offering lower rates may limit your options; many college and master’s-level students seeking internships need some form of income. This will be less of an issue with part-time positions, though, as applicants are also able to hold a second job or internship for income. Also consider whether or not the tasks you expect require any specialized skills. If they do, you should provide more perks/compensation. You have finally planned your program; you know how your candidates will apply, what you will assess them on, and who will supervise them. Now you just have to get your well-crafted description seen. One option, of course, is to complete your search via the internet. Social media and online college/internship boards— such as Symplicity CSM and Chegg— are easy to post on, often able to provide referrals, and are excellent for reaching the technology-oriented generation. 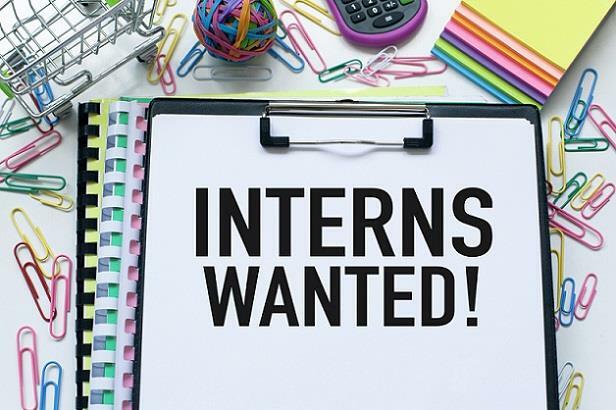 For internships that require none (or very few) specific skills, displaying an announcement on local grocery bulletin boards, in newspaper classifieds, or through Craigslist are all potential options. Alternatively, those favoring a more hands-on approach may want to contact the career development offices of any colleges or universities in your area, attend their campus job fairs, and/or coordinate an email blast targeting students majoring in relevant academic departments. Start early, be prepared for questions about what the position will entail, and watch the applications roll in!